I have always lived near the sea and I can't imagine living anywhere where the sea isn't at walking (or biking) distance. Even if I don't have a view of it from my window, I can still feel its presence and that, in some way, makes me feel free. It seems that I fell in love with the sea from a very young age. I don't remember exactly when I learned how to swim but I can't remember a time when I wasn't swimming. We had a summer house by the sea and for three whole months, I'd be at the beach for hours each day either swimming, playing with my friends, or engaging in my other favorite activity; helping my grandfather with his catch of the day. No, my grandfather wasn't a fisherman, but he loved going diving for mussels and clams, and adored going spearfishing for octopuses. Whenever he'd catch one, he'd emerge from the sea like another Poseidon, trident-type fish spear in one hand, octopus in the other, and my brother and I would go running towards him, eager to see it. It would still be moving and curling its tentacles upwards or inwards, and I just couldn't help but touch his little round suckers. My grandfather would carefully hand it to one of us and then the real work would begin. We had seen him do it a hundred times and we knew exactly what to do. Under his watchful eye, either I or my brother, would grab the octopus by the head, hold it firmly and start smacking it repeatedly against the seaside rocks. Then we would rub it in a circular motion against those same rocks until it foamed up and changed color, a process called paragouliasma in Greek. Of course at that age, we had no idea that what we were actually doing was tenderizing the octopus, making it easier for my grandmother to cook it later on the day. What we did know was that we were having loads of fun doing it. When we'd get home, tentacled trophy in hand, we'd give it to our grandmother who'd prepare it depending on our wishes. She would make htapodi ksidato (marinated octopus in vinegar), htapodi sti shara (barbecued octopus), or htapodi me makaronaki kofto (braised octopus with short pasta). The latter was always my favorite and it's an all-time classic Greek dish. One that I prepare fairly often in my little expat kitchen. 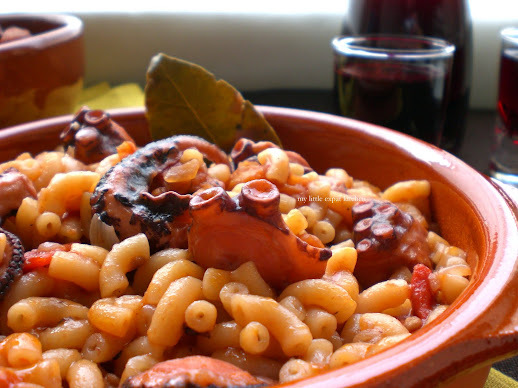 The octopus is first boiled in its own juices, then it is braised in a tomato, red wine and garlic sauce until succulent and finally, the pasta is added to the pan which cooks in the sauce and the octopus' juices. The marriage of flavors in this rustic dish is purely divine. The sweet, juicy octopus, the smooth yet sharp red wine and tomato sauce and the al dente pasta, combine excellently to create an authentic taste of Greece. This is a culinary peek into my childhood. People (usually non-Greeks) are intimidated or scared of cooking or eating octopus. They shouldn't. Apart from it being delicious, it is also quite easy to cook. You just need to know how to cook it properly. If cooked right, its texture is slightly chewy (if it's overly or unpleasantly chewy then that's a sign that it has not been cooked properly), and tender (if it's too soft or tough, it means it has been cooked for too long or too short a time). The flavor of octopus is very difficult to describe. Unless you have tasted it, you can't really understand its flavor. There isn't any other seafood that has a similar taste or texture to the octopus. 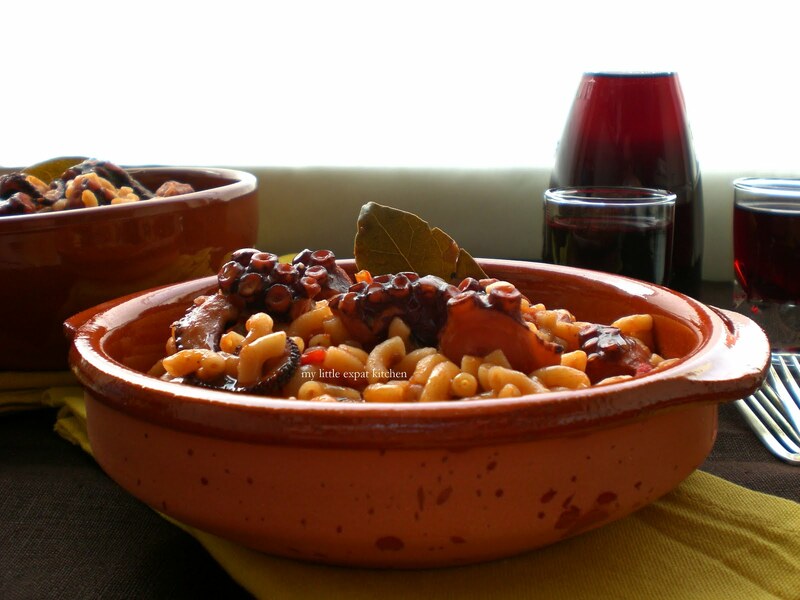 Pair this dish with a Greek horiatiki salad, lots of bread and a good red wine, like a Greek Xinomavro or a Pinot Noir. Below, I'm giving instructions on how to tenderize, clean properly and braise an octopus. I hope you find all the tips helpful! If you are lucky enough to have a fresh octopus in your hands, the best way to tenderize it would be to whack it with a kitchen mallet for about 10 minutes until it foams up (unless you're near the sea so you can do what I described above—5th paragraph). Another good way is by freezing it for 6-8 days before cooking it. 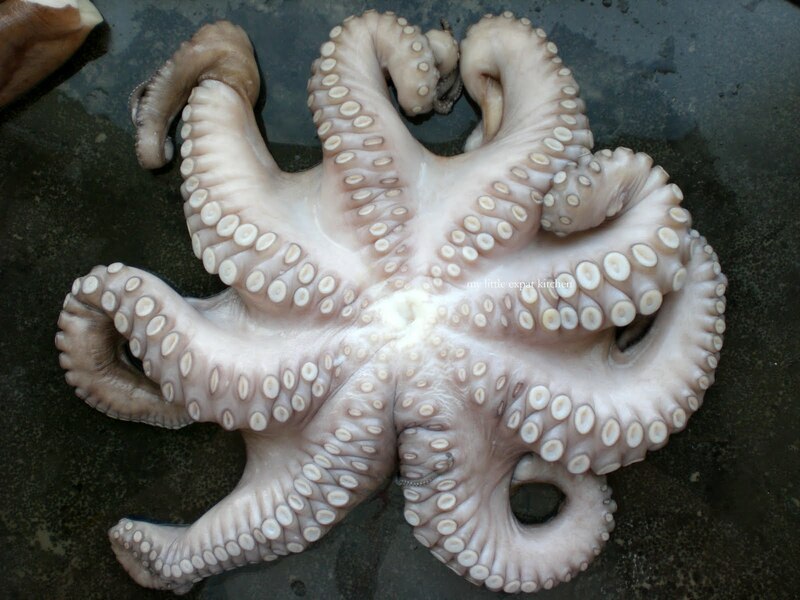 Let's assume though that most of you will get the octopus from your local fishmonger. Your fishmonger will have already done this for you in one way or another so you won't need to worry about such things. If you get a whole octopus (mantle/sac on) that is not cleaned, you first need to empty the sac of the octopus' innards and ink sac. Turn the sac inside out, remove them with your hands and don't get all dainty on me; you need to do this! Of course, if you buy the octopus from your fishmonger or if it's frozen, the innards and ink sac won't still be inside the octopus' sac so you can skip this step. Only fresh octopuses will have their innards intact. Using a large, sharp knife, cut the head off. 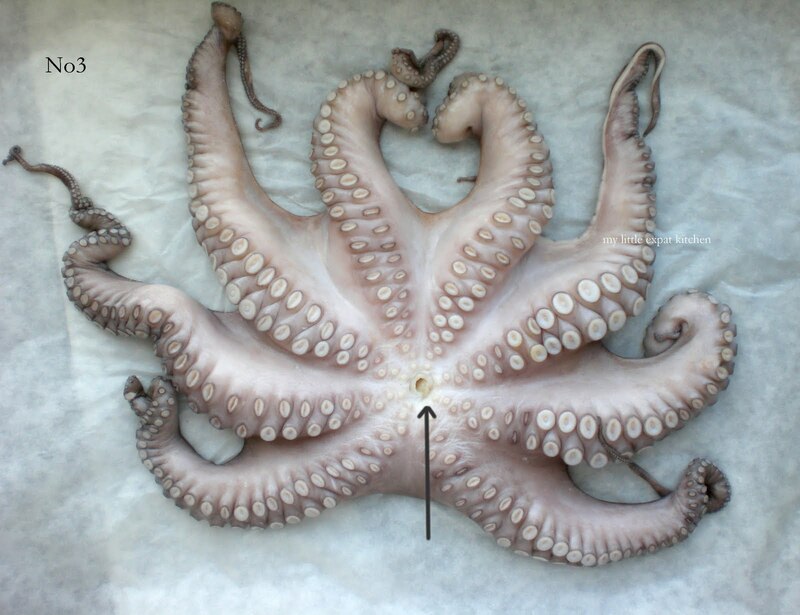 You need to cut at the point right below the octopus' eyes so that you're left with its tentacles and head with sac (see photo No1 below). You will notice that at the point where all the tentacles meet, right in the middle, there is a hole. Inside that hole is the beak, which is the mouth of the octopus (see photo No2 below). You need to remove the beak. Push it with your thumb until it comes out the other way, through that little hole between the tentacles on the bottom side of the octopus (see photo No 3). In case you can't get it out, remove it by cutting a circle around it with a sharp knife. That's the easiest way. Now, take the head, and cut it above the eyes, so that you're left only with the sac (see photo No4). That is edible. You don't need to remove the octopus' skin. Rinse the octopus well under running water, making sure to clean well the tentacles and the sac (inside and out). Separate the tentacles by cutting them at the joints (see photo no5). Place the tentacles and the sac of the octopus inside a large, heavy-bottomed pan with 120 ml (½ cup of water) over low heat. Cook for 20 minutes until the octopus releases its juices. Then remove it from the pan and place it in a large bowl. Pass the octopus juices through a fine sieve and into another bowl, measure it and reserve it. I ended up with 400 ml of octopus juice. 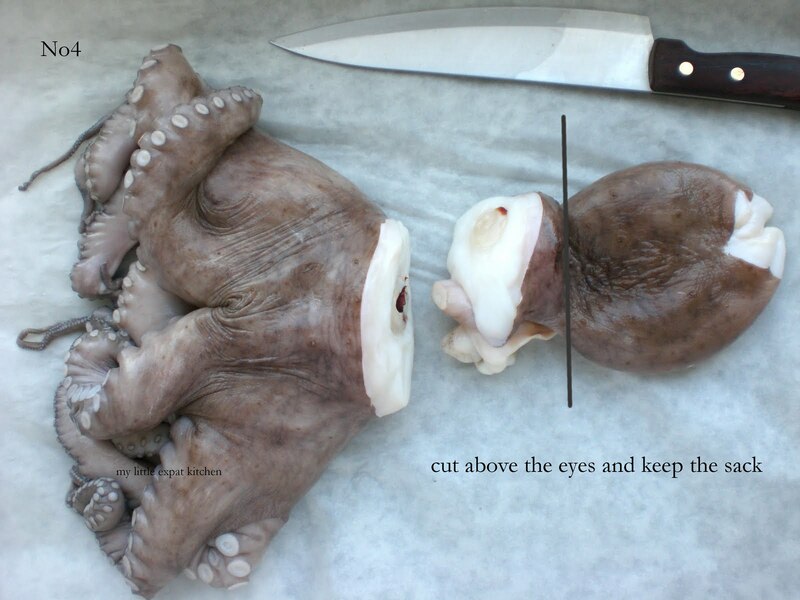 Cut the tentacles into 2 cm-thick slices and cut the sac into similar-sized pieces. 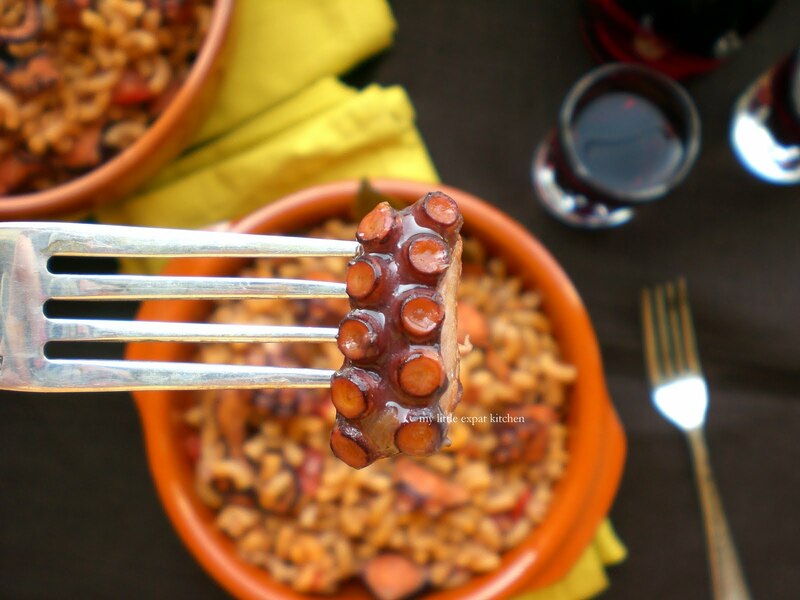 Note: At this point, you're not looking to cook the octopus completely. You are tenderizing it so that it braises more quickly. Don't worry if it's a bit tough. Add the olive oil in a large, heavy-bottomed pan (or a Dutch oven if you have one). Heat it over medium-high heat and add the chopped onions and shallots. Sauté for about 5 minutes until they soften and become translucent. Add the garlic and sauté for 1 minute and then add the octopus pieces. Sauté for 2-3 minutes and add the chopped tomatoes, the tomato paste and bay leaves. Stir well and add the red wine and the octopus juices. If you have less than 400 ml of octopus juices, compensate with water. Add some salt and black pepper and stir well. Let it come to the boil and immediately lower heat to the lowest setting and close the lid. Braise the octopus for 35-40 minutes, until it's barely done. It must be tender but not soft. Sample a piece and see for yourselves how it tastes and how the texture feels. It must be slightly chewy. The sac will always be tougher than the tentacles. 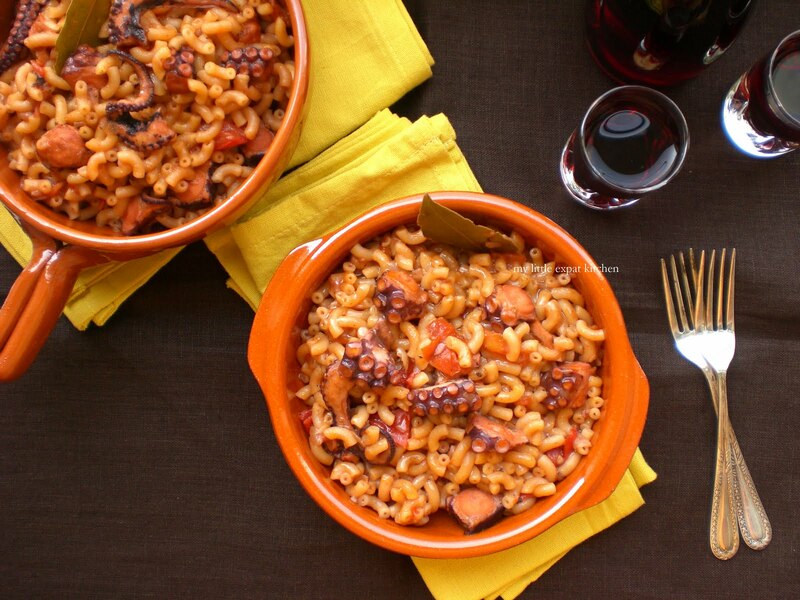 Keep in mind that you're going to add the pasta to the pan, so the octopus will cook for a further 12-15 minutes. You don't want to end up with mushy octopus. That's even worse than tough octopus. Note: I would advise you to sample a piece of the octopus after 30 minutes of cooking. 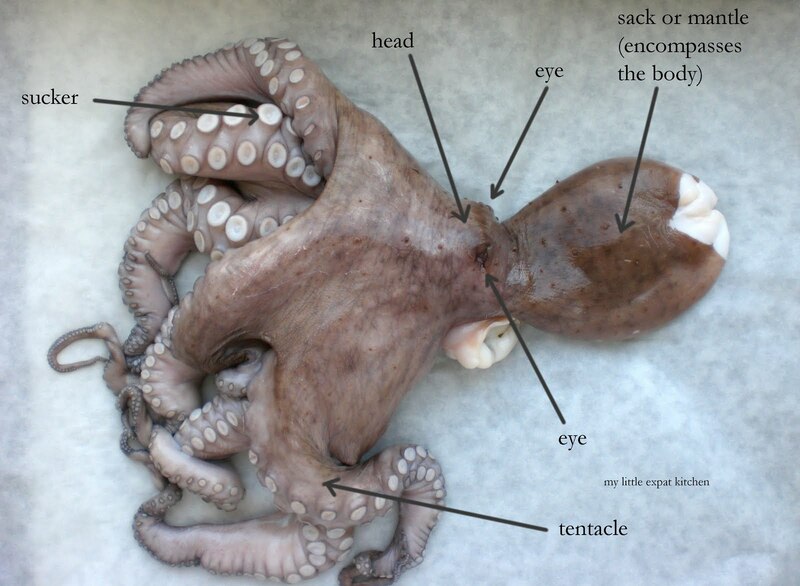 Not all octopuses are the same and some cook sooner than others. For example, frozen octopuses sold at supermarkets, cook much faster than fresh octopuses and that's because when you place octopus in the freezer, it tends to soften. 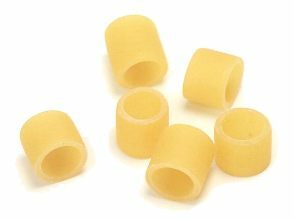 You are going to need 150-200 ml boiling water for the pasta, which is going to cook in the same pan. In this particular case, you can add more water but you can't take it out of the pan, so I would advise you to start by adding 150 ml of boiling water to the pan along with the dried pasta. Stir well and allow the pasta to cook. You need to stir every 3 minutes or so, making sure the pasta doesn't stick to the bottom of the pan, and you need to check if the pasta needs more water by tasting it. If you need to add more water, always add boiling water. 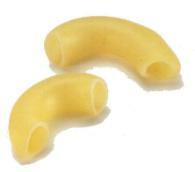 The pasta needs 12-15 minutes to cook, depending of course on how you prefer the texture of your pasta. Once it is ready, turn heat off, close the lid, and let stand for 10 minutes. Then serve immediately. This dish tastes best the day you cook it. It will be delicious the next day as well, having a deeper, fuller octopus flavor, but it will be a bit dry. You can't do anything about that; that's the nature of the dish. Octopus is one of my favorite dishes too! My favorite version is the potato and octopus salad... Unfortunately here octopus is almost impossible to find and super expensive! Wow! What an amazing tutorial, Magda. I am not sure we can even get fresh, whole octopus in Tucson but will keep my eyes open for one. I also loved the story of your Grandfather as Poseidon! Looks amazing Magda - if I can find some octopus here I will try this. I do love htapodi ksidato especially though. 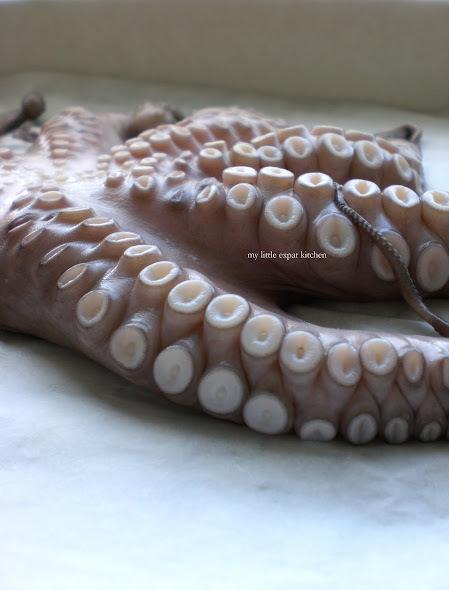 Detailed post on one our favourite ingredients, the octopus. 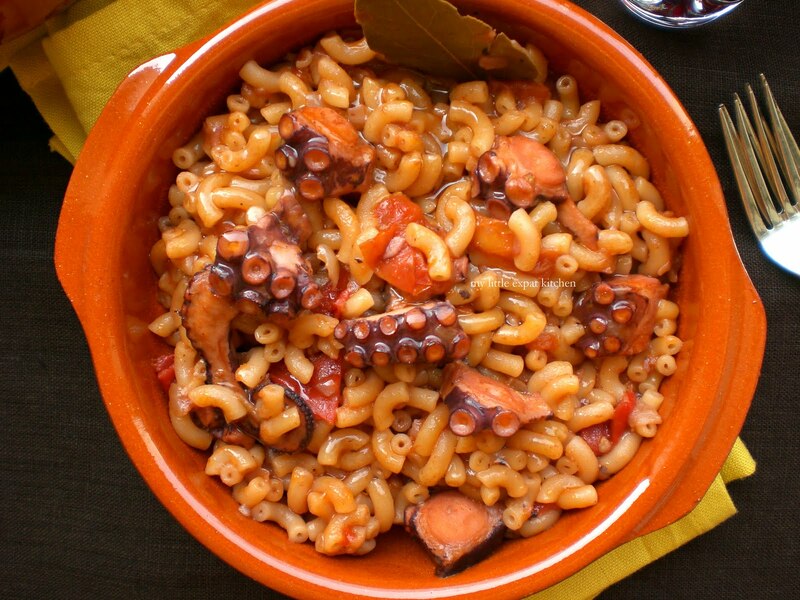 I love it with pasta but I don't add any water as there's plenty of liquid in the octopus itself. I braise it in it's own liquid. Remember when octopus was cheap? 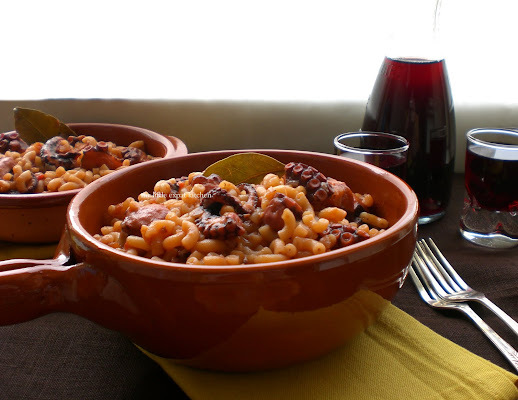 I often cook octopus and it is a real family favorite. The kids love it. This recipe looks really tasty and comforting and I will certainly try it. Loved the image of your Poseidon grandfather and you kids beating the octopus against the rocks. This must have tasted amazing! I love how you used macaroni - they always remind me of Kraft mac n cheese, but this is the non cheesy adult version. Thanks for the Octopus butchering tips too. I need to try this. 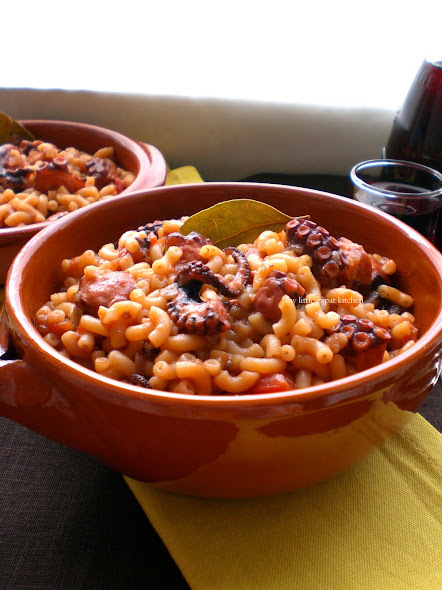 I cooked a whole octopus a while back to make a Croatian risotto with the ink and I did not know what I was doing; the kids loved it and ate it in one swoop but I had not cut it properly; wish I had had your wonderful instructions back then! I want to do it again this time with this lovely recipe. Much easier than the risotto and just as good. Wow! If I ever have a whole octopus in my kitchen, I'll surely know what to do with it now :) I adore squid, so perhaps I'd like octopus too?! I don't cook octopus nearly as often as I should! The tutorial is amazing, I now feel confident enough o buy a fresh octopus (I usually buy a frozen one, because cleaning it has always seemed like such a hassle). I will try to make this in the week-end. Thank you for going into such pains to explain how to handle octopus! Beautiful octopus.I don't think I can find any this fresh in Florida. I love what you did with it, Magda. beautifully written post. I live in a land-locked place and can only imagine life in constant touch with the sea. excellent tutorial,too. I have never worked with octopus, and when I have eaten it--it has disappointed me with its dryness. Thanks, Magda--I learned so much with this post. I WILL try this recipe, 100%. It looks too good to pass! I am a huge fan of octopus, and now that I'm back by the sea I wind it easily and cheaply enough. I'll try your recipe for sure next time I get one. 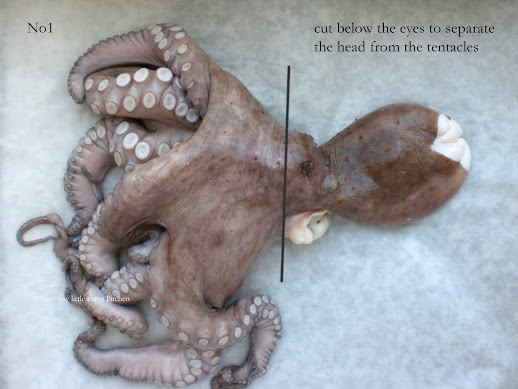 The step by step guide on how to clean an octopus is really spot on! Thank you all for your comments. I'm so glad you liked this dish! Love the photos. 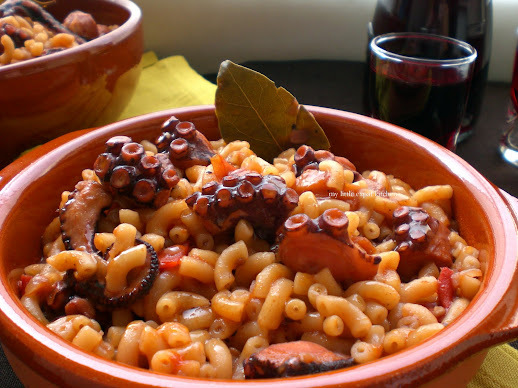 I love octopus, the first time i had it was at a greek wedding when i was a young kid. The recipe sounds great. Magda Hi, thanks for this recipe because I do not know how to make it.θα το φαμε στην υγεια σας. I love your blog so so much.. You have such good recipes and I love your stories too. I too am an expat and I love cooking so thanks for all the amazing ideas! Please keep posting! Hello there! For today's lunch I have made htapodi stifado, taking the basic technique from this article. It's turned out fantastic!! And a family trick: When making an octopus dish that includes tomatoes in any form, add the peel of a small orange along with the sauce ingredients. This time round I didn't have oranges, so I added two teaspoons of homemade mandarin marmalade. It hit the spot! I hope you try this and enjoy it as much as we do! Hi! I'm so happy you liked it and thank you for the tip. I will give it a try the next time I make it. Hello! I just saw it and it looks great! I'm very happy you enjoyed it! Many years ago I lived in Greece and have fond memories of eating χταποδι με μακαρονακι κοφτο. I had not been able to find fresh octopus, but finally found some frozen in an Asian supermarket. I discovered your excellent blog and followed your directions. It was delicious. Ευχαριστω πολυ!!! Thank you very much for your feedback, Sara. I'm glad you enjoyed it! Thanks, simple but good. I cannot try anothe way of cooking this nice food. my octopus was foameing when I got it, is that because he was already tenderised (there was no head too)? Hi, it was certainly tenderized if it was foaming, but to be honest, it shouldn't still be foaming when you got it. Octopus foams up while you tenderize it, not after. Did you trust the fishmonger you got it from? Thanks for this! Just bought some pre-cut octopus for pasta and wanted to make sure I cook it right. 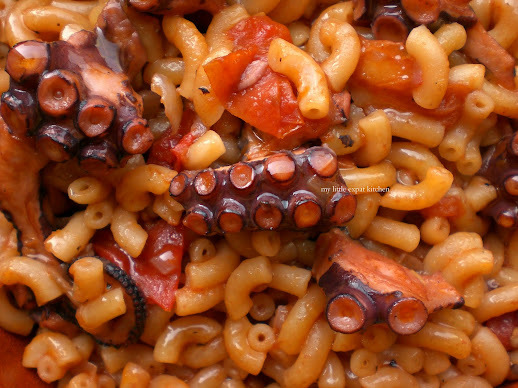 When I was a child visiting grandparents in Florida there was a Greek restaurant we went to every year and I always got grilled octopus, which I LOVED. My family didn't get it - their loss! Octopus is always a real treat, to this day. Haha their loss indeed :) Hope you enjoyed the octopus recipe! I just cooked your recipe above. I never ate anything as good as this!! Best pasta dish I have tasted, best octopus dish. I just love the flavours. The texture was totally perfect. Not soft, just the right amount of Chew. I forgot to put in the garlic somehow but that didnt change anything for me. Many many thanks. Hi there. I'm so glad you liked it! :) Thanks for trying my recipe and for your feedback! 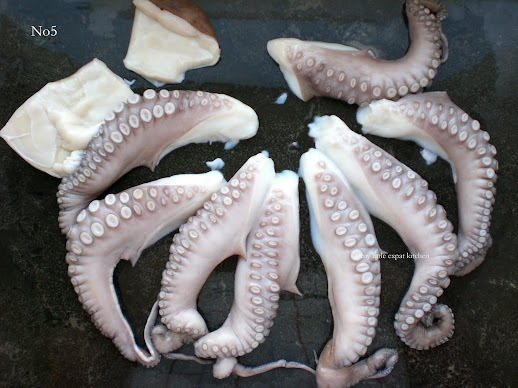 thought I WAS buying a small calamari, got it home and found a huge Octopus, thanks for this, off to the kitchen I go! !